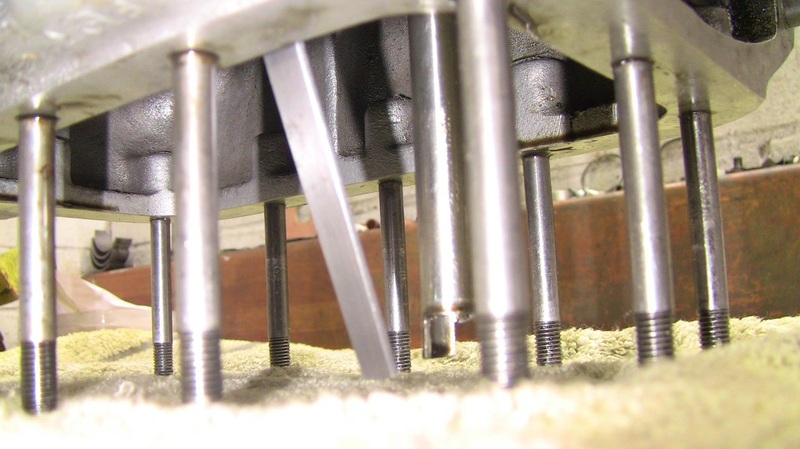 Dipsticks,sumps and oil weirs ! Modifications to sump and oil level. Adding a little handle with a piece of plastic petrol pipe saves burned fingers when checking oil when engine is hot. 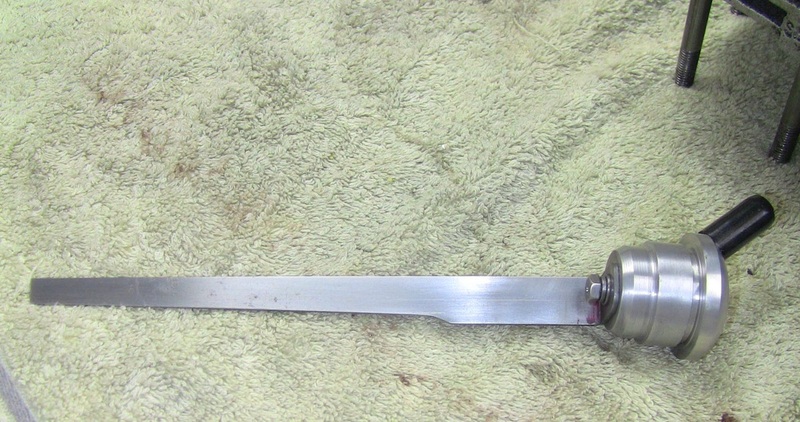 Fitting flat blade shows oil level better in bright sunlight. 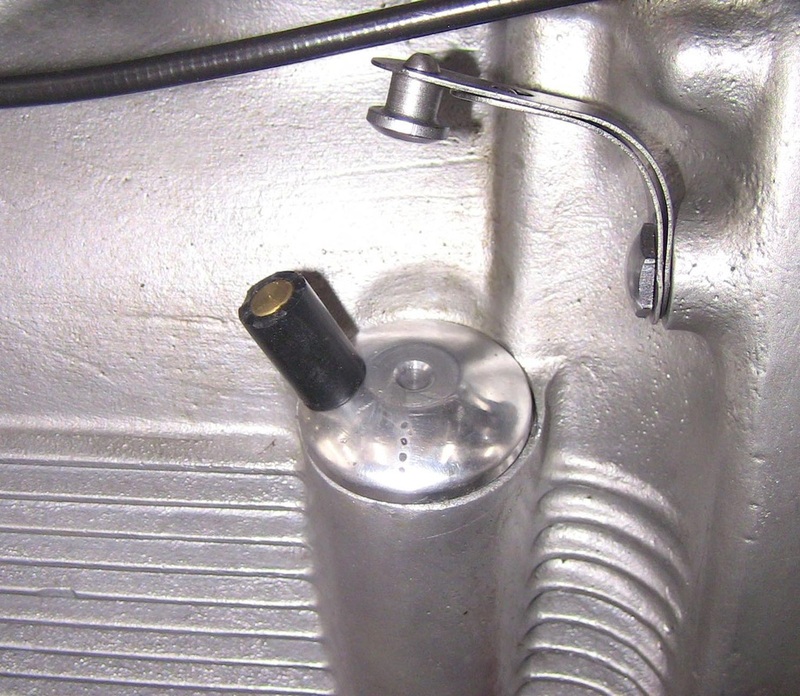 This is used when a sump extension is fitted giving an extra one pint capacity. The pipe is 3 and 1/2 inch long from the engine boss. 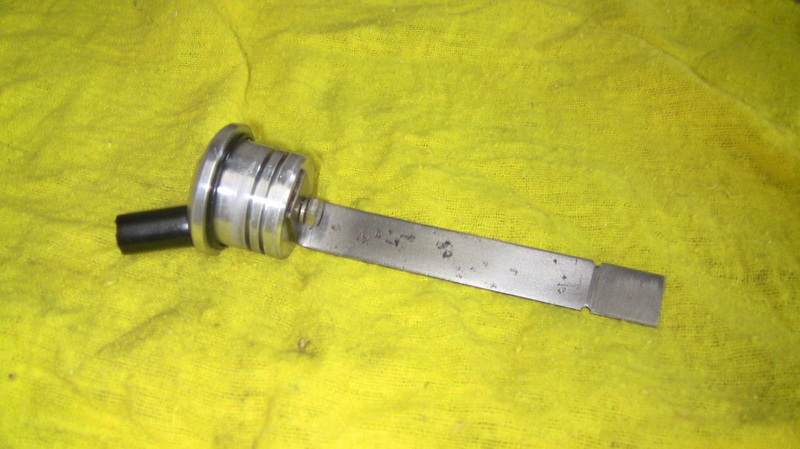 The pipe end is notched. 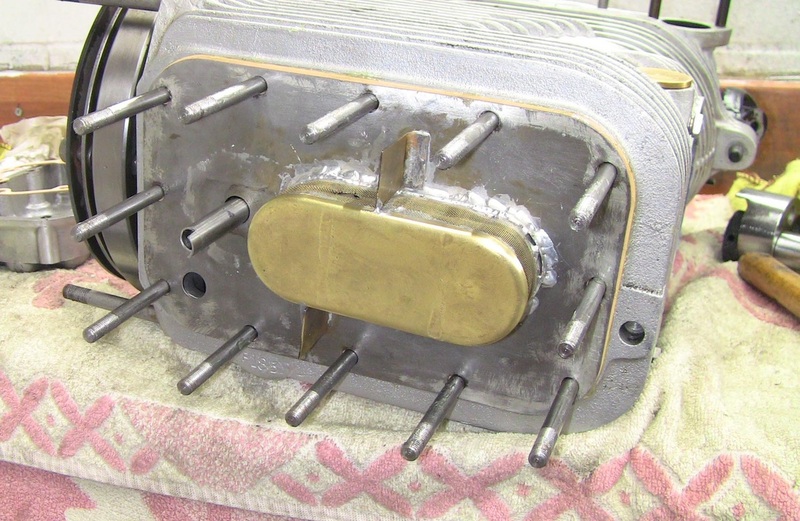 I have been running all last Summer ( 2013 ) with a modified sump plate. this has had an aluminium vertical plate mounted on the top and bottom. This vertical fin is just short of the crank at BDC. There is also an aluminium vertical anti-surge plate on the underside in the sump. I got the idea from my Panther 600 single which has a weir system to catch the oil flung off the flywheels and return it to the oil reservoir. The large centre drain hole has been covered and two smaller drain holes made at the side of the vertical plate. 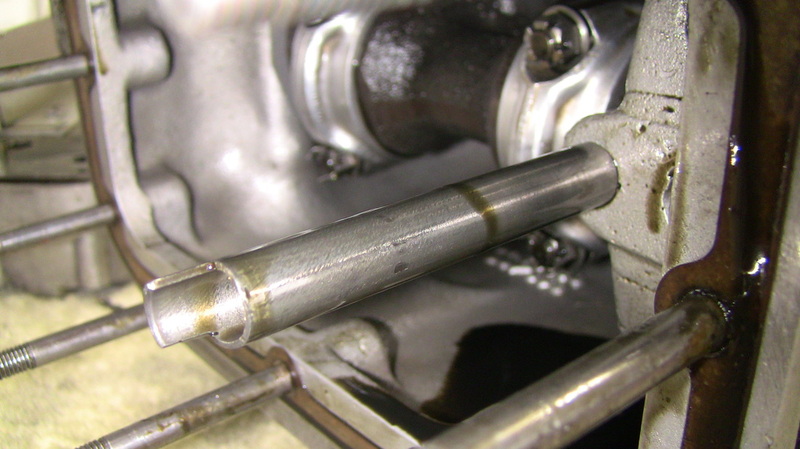 The idea is to reduce the oil being thrown about the crankcase and return it to the sump more quickly thereby reducing the amount of oil above the baffle plate. See pictures below. 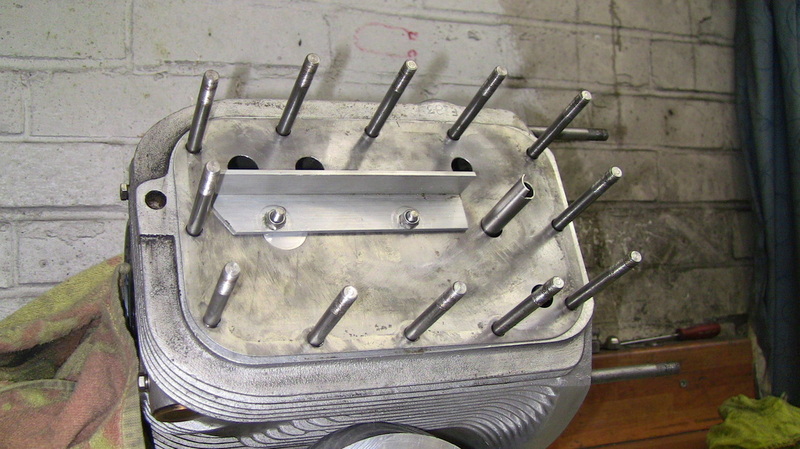 The two large holes are the oil drains back to the sump and the smaller hole to the rear is for the dipstick to reach the sump bottom. So the view of the baffle plate is looking from the front on the engine nearside. The oil drains are 18 mm diameter. For this year I have decided to run with the oil just above the level of the sump plate. The Sunbeam book says the engine oil quantity is 3 and 1/2 pints. With the sump extender fitted this makes the oil quantity 4 and 1/2 pints. 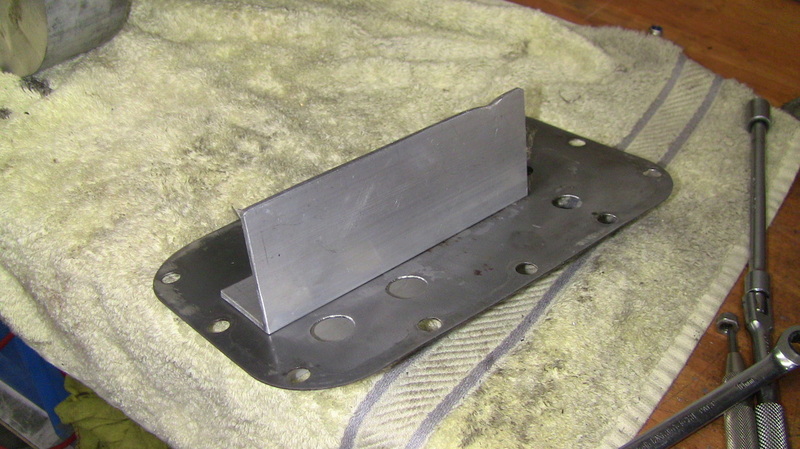 The smaller aluminium angle plate is to stop oil surges. The final dipstick is shown below. The final dipstick installed reaching to sump bottom ( as yet uncalibrated ). The calibrated level shows that the capacity of oil at the sump plate is 3 1/2 pints.